YouTube has a weed problem. Videos and entire channels of cannabis content have been disappearing from YouTube. Often without the usual strikes or warnings. Even long established channels and big names like Jorge Cervantes. While other similar channels, not to mention videos flagrantly in violation of YouTube guidelines mysteriously remained. People are calling it the YouTube Cannabis Purge. What social media alternatives do cannabis content creators and businesses have? And where can folks who just want to talk to each other about the green stuff and learn more about it without censorship go to? That’s what we’re going to cover in this article. Read on and find out how cannabis enthusiasts are helping each other out and taking matters into their own hands to provide the kinds of online spaces and services that Facebook, YouTube and the like are increasingly taking away. 6 Where Else Can Growers (and Cannabusinesses) Hang Out Online? 7.1 Don’t Totally Discount Advertising on Facebook, Google, Etc. Back around March/April time, we started to see a lot of articles and tweets about YouTube weed channels being terminated. We also started to notice a lot of the YouTube videos that we often embed in our articles here and on 420 Beginner were no longer available—it seemed a bit more difficult, too, to find videos to replace them or to add to our new articles. We even came across one article that wondered whether it was Spanish language cannabis videos that were being targeted—the biggest Spanish language cannabis YouTube channel had been suddenly deleted, along with a number of similar smaller channels. But it soon seemed more likely that it was actually part of a much wider, international purge (although it’s not impossible the new/updated algorithm happened to get started on Spanish language YouTube videos first). It’s an algorithm (or bots, or AI or machine learning, whichever term you prefer), primarily, that categorizes content into certain groups advertisers can opt out of and checks for content that violates YouTube’s community guidelines. Normally, if a video is flagged by the system or enough viewers, then it receives a strike. Three strikes within three months and you’re out. Channel terminated. Weed videos getting strikes is not uncommon. But nor is the strike being removed after an appeal and manual review. Putting your videos behind an age restriction tends to avoid a lot of problems too. But what has been happening recently is entire channels being terminated without the slightest warning beforehand. In some cases, an age restriction might have avoided the problem. Some channels deleted didn’t have one (and some educational channels arguably had pretty good reason to think they didn’t need one). But mostly the problem seems to have been that the algorithm flagged so many videos all at once that three strikes (or more) got applied to many channels before there was even a chance to react or appeal. Even channels that had suffered strikes before and thought they’d made sure their channels were now fully compliant with guidelines got deleted. So what changed with the algorithm—and why? Why the sudden crackdown? By early 2018, YouTube actually had multiple reasons to update its content moderation. Or to put it another way, it’s been at the center of some pretty big controversies lately! Emphasis on the plural. From adult content getting onto YouTube Kids to the spread of fake news, extremist content and propaganda. From targeting kids with ads to a popular vlogger filming the body of a suicide victim and that video ending up on YouTube’s front page. We could go on. And of course advertisers whose ads have ended up being served up with any of the content in question—or just risk being served up with it—haven’t been too happy either. The result: YouTube’s formerly under-zealous moderating was rapidly amped up to over-zealous instead. To get advertisers, lawmakers and viewers back on side, YouTube needed to be seen to act—and act pretty quickly. There needed to be a big crackdown on content that violates—or, as it turned out in many cases, merely might violate—YouTube community guidelines. A.k.a content that’s not advertiser friendly. And cannabis content more than likely got caught up in the crossfire. In a somewhat scattergun fashion. Because cannabis was far from the only area of content affected. Everything from ASMR videos to conspiracy theories to people talking about sexual identity started to see significant changes in how content was moderated and which videos were eligible for monetization. Again, in an often quite scattergun seeming fashion. Some YouTubers lost their only source of income overnight. For many years, content moderation and what does and doesn’t count as free speech was somewhat of an afterthought for YouTube. They tried to avoid speaking publicly about their policies; to not be seen as upholding or censoring any particular ideology over another. It was all about just adding more and more content. And increasing the ad views. But slowly that laissez-faire moderation has been catching up to them. And in the last six months or more, the pace of YouTube’s attempt to rectify it seems to have increased pretty rapidly. YouTube has admitted, though without going into specifics, that there have been mistakes on what’s been flagged and removed. But it’s also admitted that there will likely be more to come. Just because improving its moderating is such a huge and complicated task. Some channels we heard had been deleted seem to have returned (Jorge Cervantes’, for instance), while others apparently are still struggling to even get their appeals heard. The YouTube cannabis purge isn’t quite over yet. Another part of the whole problem seems to be that channels are being categorized into some quite broad categories, largely by AI. So that advertisers can then choose to opt out of these categories. However, that very broad categorization can see totally disparate channels and videos all falling under the same umbrella, or under the wrong umbrella entirely. Even if your channel’s still online, or back online, you might no longer be eligible to run ads on it (assuming you were before). So, given that weed content on YouTube is facing a pretty uncertain future, where else can we go now to watch and upload content about growing or consuming weed? Vimeo is the obvious YouTube alternative, and many creators have migrated over there. If you take a look, you’ll find some great stuff. But if you’re a content creator, it’s still a smaller audience and you’ll likely need a pro account, which will cost you. Also, many content creators in categories badly affected by YouTube’s clean up mission have signed up with Patreon to allow them to continue to make an income. However, one of the great things about the cannabis world is that there’s quite the DIY spirit running through a lot of it. And with YouTube no longer a safe haven for videos about weed, it wasn’t long before some YouTube weedtubers decided to create their own alternative: TheWeedTube.com. Crowdfunded in rapid time ($6,500 in two weeks), it was supposed to be launched on the obvious date (4/20). However, thanks to the massive uncertainty over whether their own YouTube channels would survive the cull and the rapid funding, The Weed Tube founders actually launched a little sooner. And it seems to have taken off. While I have to admit I don’t find it quite as user friendly as YouTube just yet (I much prefer YouTube’s embedding options, for instance; and you’ll find some pretty badly mis-tagged videos under the Growing/Gardening category), The Weed Tube already has active content creators and plenty of videos. The ads are all cannabis relevant too, which makes a change. 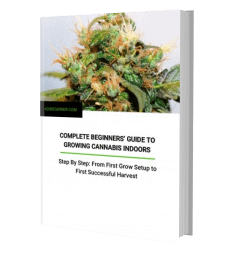 Whether you’re a cannabusiness looking to grow a following, a rec or medical consumer looking for info, or a home grower looking for tips and grow journals, it’s worth a look. Where Else Can Growers (and Cannabusinesses) Hang Out Online? All the old forums are still out there, of course. Long-time favorites like icmag.com or the 420 Magazine forums, for instance, are still going strong. But thanks to the multiple difficulties of running a cannabis business on, advertising on, and sometimes even just openly discussing weed on the most popular social media platforms—essentially, you’re constantly trying to stay the right side of a line of entirely uncertain size and location—a whole host of promising weed-friendly alternatives have sprung up in recent years. As with any alternative to the big players in social media, the major difficulty is always going to be in getting enough of the right users on board to reach that tipping point—that point where you need to be on the platform, because everyone else is. (Known in economics as the network effect.) Many a would-be Facebook or “Facebook for [insert niche]” has fallen at that hurdle. But there are some promising canna-centric alternatives to the big names. Let’s take a look at some of the most interesting options. Smoke Network was born out of many of the problems we’ve already related and linked to in this article. It’s due to launch sometime in the next few months, but you can sign up to try out the demo network right now. Smoke Network was created to help cannabis users and content producers avoid discrimination on popular social media sites and also allow them to earn off of original content. The platform was created for the cannabis community to allow everyone a free place to share their passion for cannabis and be rewarded for it in the process. If you’ve heard of Steem.it, then Smoke Network will be a lot like Steem.it—but for cannabis. And if you haven’t heard of Steem.it, then what we’re talking about here is a social media platform for the cannabis community, free from censorship and government interference, where (unlike on Facebook) you actually own all your own data and can make money from it. Well, it’s all built on blockchain technology and a cryptocurrency called SMOKE. Which to those of us who might use it and post content when it fully launches, basically all just means that participants will get paid in cryptocurrency for interacting and receiving likes. You’ll be able to exchange that currency for regular currency, spend it in various ways on the site and with other businesses that accept it. Blockchain is also the technology that enables the platform to be extremely secure, private and difficult to censor, by making everything totally decentralized. Long term, the plan is that Smoke Network will further evolve into a strain database, dispensary reviews, grow journals and a tool for peer-to-peer cannabis transactions. An entire, censor-proof cannabis ecosystem. For more details check out the White Paper (PDF). I’ve had a little play with the test network, and it all looks very promising. My one criticism: I’d really like to be able to more easily see whether an item of content is going to be an article, video, photo or short bit of text before I click on it. But it is a test network, and from what I’ve read it sounds like that functionality will be firmly in place when the real network is launched. Mainly because, once you start the signup wizard, you soon discover it’s kind of not just one network—you can actually join any one of multiple “instances” of Mastodon. And if marijuana is what you want to talk about, it’s hard to know which one to join (more on that shortly). Instances seem to be separate networks, all running the open source Mastodon technology (or protocol), each centered around particular interests. Different servers, essentially. All of these instances are decentralized, but you can still join in on other instances. Anyway, I’d highly recommend reading this article on Vice first, before trying to get started. Or this beginner’s guide on The Verge. From there, you’ll learn that the main Mastodon instance is mastodon.social. That one may be temporarily closed to new users when you visit, having grown very quickly. However, there are plenty of others, and joining one usually doesn’t prevent you from communicating across the others. And much like Twitter, it’s by using hashtags like #cannabis that you’ll find relevant “toots” and “tooters” to interact with and follow. Smoke isn’t yet fully launched and Mastodon isn’t weed-specific. So here’s a selection of the most popular and most promising social networks we could find that are totally centered around cannabis—and that you can use today. You’ll find networks here for both weed lovers and cannabusinesses. Mass Roots is a network focused on product and strain reviews and a dispensary finder. As well as news on the site (if you’re a content creator, you may be able to syndicate your articles there), it also has iOS and Android apps. It’s also looking to make use of blockchain technology in the near future. Duby is an anonymous network that allows cannabis users to connect and communicate with each other around the world. It has both iOS and Android apps. Cannabusinesses can advertise on the platform. A marijuana social network where you can be as anonymous as you like. Includes all the usual kind of social media features like events, groups, chat, blogging and even a 420 marketplace. A cannabis social network with a strains database and reviews. As well as the usual features, you can also earn Perk$coins, which can be spent on goods and services on the site (if you’re a business you can use them to buy ads) or converted into real world currency. A social network for medical marijuana users. A social network for cannabis enthusiasts with iOS and Android apps. Has apparently become known as more of a dating site. (If 420 dating apps appeal to you, it’s a growing niche. Do a search and you’ll find plenty to choose from.) However, the reviews on the Play Store are not great, so I wouldn’t expect too much! A somewhat Facebook like app, with a bit of a local element to it and pretty patchy reviews on the Play Store. We linked to a Leafly article above, but as well as some great articles it also boasts a dispensary finder and strain directory and smartphone app. It’s not exactly social media, but you can review strains and dispensaries. WeedLife.com calls itself the Facebook of cannabis. And that’s pretty accurate. It looks much the same, but with green instead of blue. It’s also worth mentioning that this is the consumer social network part of WeedLife Network, a company which also offers a whole raft of different sites and services to the cannabis industry—from marketing tools and advertising to PR and WeedCircles, a cannabis businesses social network. Another online cannabis business social network, global and modeled more on LinkedIn. For advertisers wanting to reach an audience of cannabis users or growers there are three main alternatives to AdWords and AdSense that we know of: Mantis, Traffic Roots and 420Network. For those who don’t know already, AdWords is Google’s platform for advertisers, while AdSense is used by publishers like us to host those ads (or at least it could be used by us if we didn’t talk about cannabis). Mantis, 420Network and Traffic Roots all broadly mirror that setup. In other words, you can sign up to them as an advertiser and run your ads on lots of different relevant websites, or you can sign up as a publisher and monetize your website by publishing other people’s ads. If you’re wondering, the ads you see on this site are from Mantis. It was pretty easy to set up and implement on the site and we feel the ads that get served are relevant to our readers. So, for us, the platform works well so far. However, we haven’t really looked into 420Network or Traffic Roots yet, beyond mentioning them in this article. So if you clicked on those links you know about as much as us now! Don’t Totally Discount Advertising on Facebook, Google, Etc. Finally, maybe don’t entirely give up on Facebook and Google Ads. Well, firstly, when you click on the ad, the landing page has no mention whatsoever of cannabis—just indoor gardening. And, secondly, it looks like the whole site has been purged of explicit reference to cannabis, marijuana, etc. So if you can find the right angle, that avoids all clear mentions of cannabis, you might still be able to run ads on Facebook. You have to have a product that gives you that option, though, of course—and know the ad guidelines to the letter and get a bit creative. Likewise, I know California Lightworks advertises on AdWords. So, again, if you have a product or service that allows you to avoid explicit mention of cannabis, you might be able to run something (click the link for some tips). Also worth a look: Leafly’s state-by-state guide to cannabis advertising regulations. Despite the increasing legalization and norml-ization of cannabis worldwide, social media platforms are struggling to adapt their policies to the new landscape. Admittedly, there are still massive legal and classificatory conflicts and gray areas in the real world, which doesn’t help. And moderating huge volumes of content is no easy task. Most of us accept that. Moreover, some videos were demonstrably in violation of community guidelines. Even if unknowingly and often made with the best of intentions. However, it’s the scattergun, haphazard and above all inconsistent approach to content moderation that many social media and advertising platforms take in relation to cannabis—and the frustrating slowness, unapproachability and unhelpfulness they display when mistakes are made or specific explanations are requested—that has angered and confused cannabis content creators, cannabis enthusiasts and cannabusiness owners. Fortunately, where the current big players are failing, the cannabis community is increasingly stepping in to fill the void. Social weedia is becoming more than just a pun. Before writing this article, I knew of a few cannabis social networks and ad platforms—but I’ve stumbled on a whole lot more. And may well have made work for myself—further researching and signing the site up to a few of them! We’ll add any profile details here. And likely update the article soon with more info and more links. Previous post: Best Weed Grinders – Herb Grinder Reviews 2018 | Smoke Better!